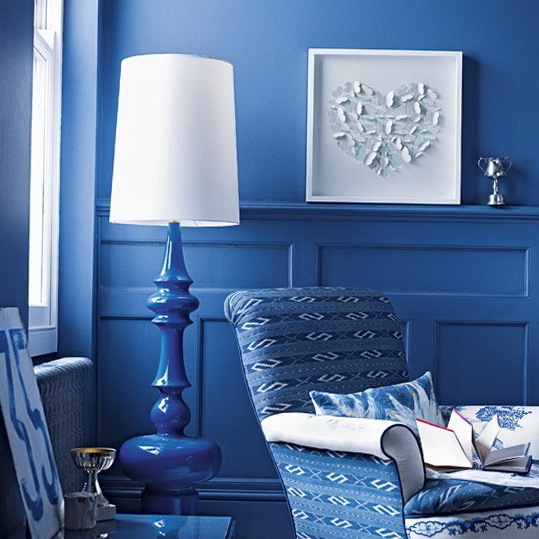 Vibrant blue living room If you’re sticking to a single colour, mix textures to add interest – the glossy finish to rough-luxe textures ups the glam factor in this living room. 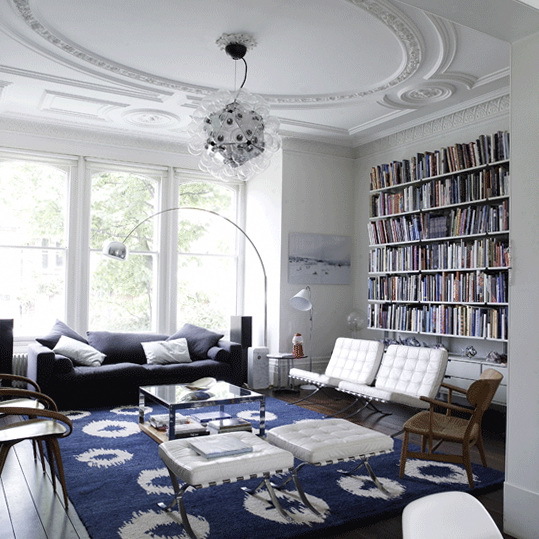 A curvaceous royal-blue lamp adds sleek contrast to the chair and rug. 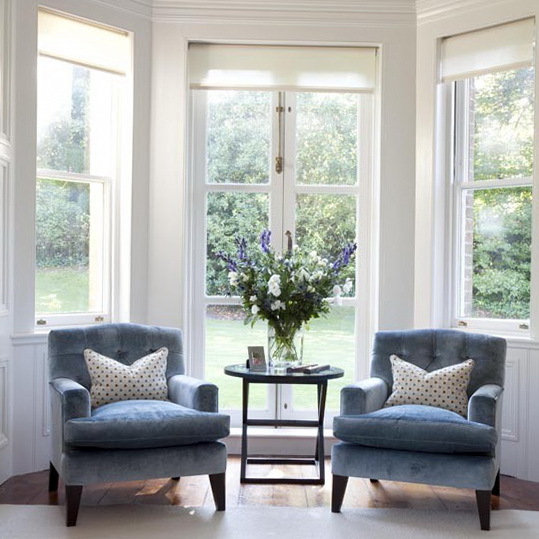 Restore original features Beautifully restored original features sit comfortably alongside sleek, contemporary additions giving the living room a fresh and sophisticated look.